Out of Sync to be more than a memoir. It is an adventure story, a travelogue, a history of our changing times, and a philosophical view of the world and life, as she adjusts to moving to America from South Africa with a new husband. I highly recommend you pick up her beautifully written book. My memoir explores the concept of changeâ€”despite a series of harrowing events that demonstrate how quickly adventure and excitement can devolve into chaos and despair, I believe that change, however merciless, is always the most profound catalyst for personal development. The title of my bookâ€”Out of Syncâ€”captures the condition that permeated all aspects of my life in the ten years following our expatriation to the US in 2001. It began with our arrival at JFK International Airport on the day of the 9/11 terrorist attacks against our host country. We were trapped in that chaos for five days before, finally, making our connecting flight to San Francisco. There, we were greeted by the peopleâ€™s flag-waving show of patriotism, which made us feel a lot more alien than we would have under normal circumstances. Whatâ€™s more, that tension spotlighted the preceding series of unnerving changes in my life: a divorce that ended a twenty-year marriage, an empty nest (including my daughterâ€™s plan to live in Germany for a year as an au pair), an unexpected romance that resulted in a rushed wedding to accommodate my new husbandâ€™s professional opportunity in the States and, consequently, my enforced status as a trailing spouse. Last, but by no means least, it was a sad day saying goodbye to my country, friends, family and, especially, my children. The disparity between my restrictions and my husbandâ€™s privileges, on top of being an outsider at that crucial time in Americaâ€™s history, knocked my composure right off its axis. Considering my previous top-level position in advertising, I felt humiliated to be seen as â€˜just a spouse.â€™ My incapacitated self-esteem and my husbandâ€™s feelings of guilt put a strain on our new marriage at a time when both our host and home countries were confronting fundamental changes of their own. Things pretty much went downhill from there, on personal, national and global levels. It would take ten years before my husband and I achieve some sense of equilibrium again. As one reviewer says,this book is more than a “fish out of water” story. Nicoll layers her experience of living (and working) in a new country with the other “out of sync” areas of her life that seem to radiate out from the center-point of expatriation: out of sync marriage, professional life, spiritual life, and, ultimately, feeling out of sync with herself, as well. 2. In your book you tell your story about expatriating from South Africa to the United States. What other themes do you explore? My story is set in the context of post-9/11 America and post-apartheid South Africa, so I make a fair number of culture comparisons, like cuisine and eating habits, leisure activities and holiday traditions, as well as work ethics, corporate politics, and sociopolitical circumstances. Culture shock, including reversed culture shock thanks to some radical changes in South Africa, is a significant theme. Another one is conflictâ€”internal and externalâ€”our own quarrels mirroring the political strife in each country as well as the global economic distress of the time. I look at how relationships(on personal, national and global levels) shift under stress and over time. I explore some psychological components of change: the process of acculturation that requires you to adapt your behavior, communication, values and beliefs, as well as a search for identity driven by the need to belong. 3. What was it like to write your bookâ€”how long did it take? I was really writing the book right from the start of our expatriation without intending to do so, since my email newsletters to my friends and family over a period of five to seven years form the bulk of my story. Even though I have a background in advertising copywriting and people were urging me to write a book, I only gave it serious consideration when circumstances forced another career change on me. It took me three years of serious writing, revising and editing to shape the book. Within three months of pitching the manuscript to agents, I had four calls for submission. Sadly, I did not clinch a deal; I wasnâ€™t too surprised, as rumors of a skittish market had already been doing the rounds. When I decided to my Masters of Fine Arts (MFA) in Creative Writing for fiction, I was granted one semester in non-fiction, which I used as a revision of the total manuscript. At that point self-publishing was, in my opinion, the sensible way to go. 4. When you got discouraged, what helped keep you going? Did you have a coach or support system? I had some nasty critiquing experiences before finding mentors and support groups that suited my sensibilities, people who welcomed my outsider perspective of their culture. My first mentor was important to the process because she was the one who said, â€œDonâ€™t you dare not write that story.â€ My second mentor was the one who helped me shape the story. I also formed my own critiquing group. All in all, my total network consisted of published writers, private coaches, editors and psychologists. You canâ€™t wish for better support and guidance than that. 5. Who should read your book? 6. What is your writing life like now? What are you working on? I try and divide my time between some freelance copywriting and personal coaching, marketing Out of Sync via my social media networks and other outlets, and working on a creative writing guide and my first novel. Ghostwriting a book about the life of an ex-marine is also on the cards; I just need to find the time. 7. Besides being a writer, you also work as a creativity coach. What exactly is that and what services do you provide? I provide various services. As a life coach, I help people who are dealing with change, though I donâ€™t do much intervention work anymore. As a creativity coach, I mostly help writers who are working on a big project, like a book. I also offer creativity workshops, writing classes and manuscript critiquing. 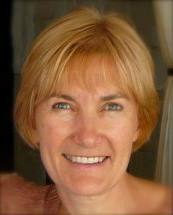 Belinda Nicoll is originally from South Africa. She expatriated to the US in 2001 and has been a citizen since 2010. She holds a BA degree in Communicationand a Master of Fine Arts in Creative Writing. She is the author of a memoir titled Out of Sync. Belinda was a talent agent and drama coach before venturing into the advertising world as copywriter and client service director. These days, she works as a freelance writer and creativity coach. Her works-in-progress are a novel, a guidebook on the craft of writing, and she blogs about issues related to writing and creativity, as well as her favorite subject: change. You can connect with Belinda here: website / blog / Facebook / Twitter / LinkedIn. 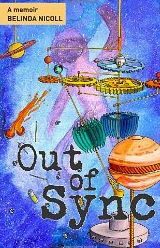 And Out of Sync is available from various online retailers. To read my review, please go here. Thanks for having me, Madeline. I’m delighted to be hosted here on Choices and by one of my favored memoirists. Thanks for your target audience list. It might help me with mine Belinda. Madeline, I loved Belinda’s memoir. You know how much the expat life means to me, and how I love to read about other adventures. Thanks for the interview. Thanks, Belinda. The feeling is mutual of course. Yes, Sonia, I loved Belinda’s memoir too – and yours! You’re welcome, Sonia. We all learn, and draw inspiration, from each other. Thank you for your encouraging comments about my book. This is such an excellent interview Madeline and Belinda. It could be a template for writing and marketing a memoir. I especially appreciate Belinda’s press kit and target audience list. I loved both your memoirs, not only enjoying them as stories but also taking valuable lessons from your writing. Thank you both! Thanks so much, Kathy. Yes Belinda provided us with a wealth of information. It was such a delight to interview her. And thanks for always coming back here with such wonderful support of my work. I ditto your sentiments about Kathy’s continued support, Madeline. I really can’t wait to read your book, Kathy, but I guess you hear that all the time. I’m really encouraged that you both deem my contributions valuable; it makes it all worth it. Madeline and Belinda, spending my Sunday morning catching up on some reading. You both have gifted us with a thought-provoking and almost instructive interview on the process of writing and marketing a memoir. I was especially interested in reading Belinda’s list of potential readers. It is always inspiring to read what the two of you have to share. Thanks for spending your Sunday morning with us, Sherrey. It’s always so great to see you here. Yes Belinda is very generous with her advice and counsel. I’m so honored to have her here. I look forward to your post here tomorrow. You’re so welcome, Sherrey. We all learn from each other as we go along. I love sharing this wonderful process with my peers.